The El Gouna International Squash Open, held in Hurghada on Egypt’s Red Sea coast, is a prestigious event and a chance for the Egyptian stars of squash, like Karakal's Zahed Mohamed and Karim Ali Fathi to compete at home. This years event has been given the added spice of being jointly staged with the Orascom Development PSA Women’s World Championship. The men's event will feature Karakal's Cameron Pilley, Zahed Mohamed, Karim Ali Fathi and Charles Sharpes and will see the battle for points on the Men’s PSA Road to Dubai Standings draw to a close. Meanwhile, reigning World Champion Nour El Sherbini will be looking to become the first female Egyptian player to win the World Championship crown on home soil. Trying to stop her will be the World's best women players including Karakal's in-form Tesni Evens, who is in the same side of the draw as El Sherbini. 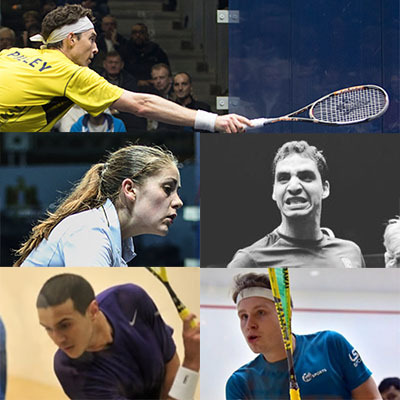 The event promises to be a festival of squash to rival any of the World's major tournaments and both championships will be covered by SquashTV. For more information visit the PSA website and for details of our players see the Karakal Player Profiles. So let's all get behind the #KarakalKrew this week.